I am currently at the run configuration stage, and testing is failing. My background is not in computer science, so I have been learning everything from scratch as I go, so a lot of this is new to me. The guidance at this point in the tutorial is a little thin for someone in my position, so I’ve set up the configuration my somewhat guesswork. Execution failed for task ‘:ios:moeTestRemote’. Run with --info or --debug option to get more log output. Run with --scan to get full insights. org.gradle.api.tasks.TaskExecutionException: Execution failed for task ‘:ios:moeTestRemote’. 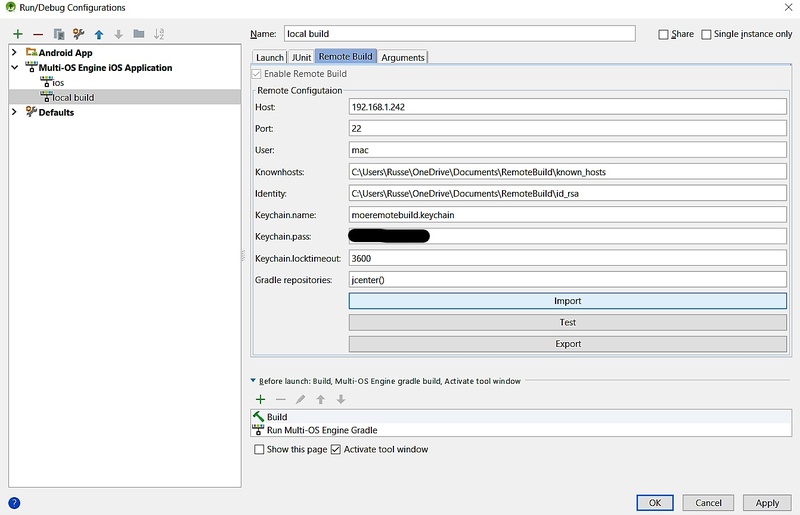 Deprecated Gradle features were used in this build, making it incompatible with Gradle 5.0. At this point I’m at an impasse, there isn’t much guidance currently available online. Any help or insight would be greatly appreciated! UPDATE: Still not working. Tried to make directly on the mac instead and that has also failed. Perhaps my mac is so old, that I’m having endless compatibility problems. Gonna leave moe for now, and try something else.